Nokian Tyres is the world’s northernmost tyre manufacturer. It promotes and facilitates safe driving in demanding conditions. They are the only tyre manufacturer to focus on products for demanding conditions and customer requirements. Innovative tyres for passenger cars, trucks, and heavy machinery are mainly marketed in areas with snow, forests and challenging driving conditions caused by varying seasons. Nokian Tyres develop their products with the goals of sustainable safety and environmental friendliness throughout the product’s entire life cycle. Kolmeks Ltd is a company which employs about 85 persons. The turnover in 2015 was 14,5 MEUR. Kolmeks Ltd. produces about 40 000 pumps annually. Situated 186 kilometres southeast of Tallinn and 245 kilometres northeast of Riga, Tartu lies on the Emajõgi ("Mother river"), which connects the two largest lakes of Estonia. The city is served by Tartu Airport. Ssangyong Motor Company is a Korea-based company engaged in the manufacture and sale of automobiles. The Company’s products portfolio consists of sports utility vehicles (SUVs) and multi-purpose vehicles (MPVs) under the brand names of KYRON, KORANDO, RODIUS , ACTYON SPORTS, ACTYON, REXTON and others, as well as passenger cars under the brand name of Chairman W and Chairman H. In addition, it is involved in the provision of automobile parts, such as wheels and others. AS Standard is the leading furniture manufacturer in the Baltic States. The enterprise has existed since 1944. The company has two primary business directions: StandardPro offers hotel and public space furnishing solutions; StandardOffice focuses on offices and interior design. The greatest strength and advantage of Standard over many other interior design companies is that we offer complete solutions, from initial consultations to the handover of the completed project. When you choose Standard as your partner, you receive everything you need to furnish your premises from one convenient source. Each project is dealt with at Standard by a professional project manager supported by a team of experienced specialists. Furniture is designed and produced in accordance with the client’s wishes and maintaining the product’s original and distinctive features. Standard offers a wide range of ready-made office furniture solutions that you can view on our website and in the product catalogue. All of Standard’s furniture is manufactured at our own production facilities using modern and environmentally friendly technologies and high-quality materials. Standard also offers delivery and installation as additional services. The result is always a stylish and most comfortable room. Standard has decades of experience in provision of furnishing solutions and the company has expanded into all regions of the world. Our activities have earned deserved recognition and we have completed many large projects not just in the Baltic States but in Finland, Sweden, Germany, the Netherlands and Russia as well. 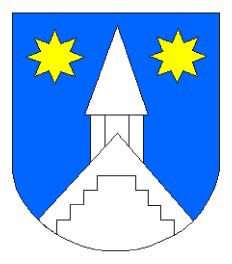 Rõuge Parish is a rural municipality of Estonia, in Võru County. Scania is a world leading provider of transport solutions. Hertz is a global car rental company, providing quality car rental service for over 90 years. Printcenter Eesti AS is offering high-quality printing services since 1993. Some of the main products manufactured and printed include product and gift packages; displays, standies and pop-ups; document cases and folders, branded office equipment. More than 80% of Printcenter´s manufactured products are exported. Fifaa is the Official Clothing Partner of WOC 2017. Emit AS has the following product areas: electronic-punching and timing system (EPT) for orienteering and EmiTag chip system, which is mainly used in cross-country skiing, cycling and running. EQ Timing provides result service for TV. AS Kunda Trans is a railway company. SIlindia Ehitus OÜ is a construction company in Estonia. DNB Pank belongs to DNB Group, which is one of the largest financial groups in the Nordics. In Estonia, DNB is concentrated on giving the best possible service for its corporate and leasing customers. Civitta is a leading independent management consultancy in Emerging Europe with offices in Estonia, Latvia, Lithuania, Belarus, Russia, Ukraine, Moldova, Serbia, Romania and sales office in the United Kingdom. We aim to bring the right minds together to challenge the boundaries and make meaningful changes for our clients. 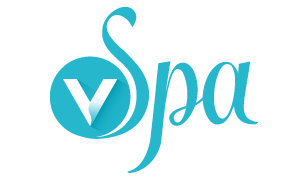 Verba is an Estonian consultation company. The company was nominated for the Estonian PR Awards in 2016. OÜ Furgotec is located near Tartu in Haage. The company was established in the summer of 2010 and manufactures mostly special-purpose vans, barracks, trailers and Sandwich elements meant for the construction thereof. SCULT is an International Sport Volunteers Movement, connecting bright-eyed volunteers at all ages, sport event organisers and sport clubs locally and internationally. Topauto is Estonian car dealership and service company. They sell Hyundai, Seat, Suzuki, SsangYong and Isuzu brands. SUVA AS, based on 100% private Estonian capital, is the oldest hosiery manufacturer in Estonia, with more than 80 years of experience in the field. There are 124 employees working at SUVA. As for the equipment, there are more than 400 knitting machines (Nagata, Bentley, Matec, Fantasia, Wera, Sangiacomo), over 100 finishing and packing machines (Takatori, Tricoset, Rosso, Mauserlock, Heliot, Colormat, etc.). SUVA has it’s own dye-house (piece dyeing is possible) and laboratories. The area of government for the Ministry of Culture is organising the state’s culture, sports, and heritage conservation activities and promoting the state’s fine arts, coordinating the state’s implementation of media and audio visual policy and integration strategy. The National Heritage Board belongs to this area of government. Hasartmängumaksu Nõukogu (HMN) is an institution with the aim to support Estonian sport, culture, research et cetera. Estonian Orienteering Federation (EOL) is the governing body of the sport of orienteering in Estonia. EOF is member of International Orienteering Federation (IOF) since 27.09.1991. EOF is member of Estonian Central Sports Union since 17.05.1990. OK Ilves is Estonian orienteering club. 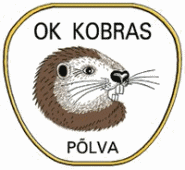 OK Kobra is Estonian orienteering club. 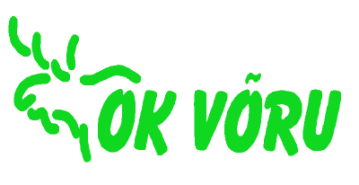 OK Võru is Estonian orienteering club.